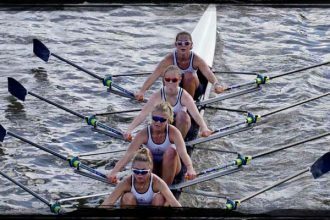 Ten members of Henley’s top performing Junior Women’s Squad were selected for the Great Britain J16 squad at the weekend in a series of thrilling time trial events. Henley Rowing Club was represented with both junior women’s and junior men’s crews attending GB trials to compete at the annual J16 regatta against France in July. Racing over a series of 1500m time trials, the Henley squad had to battle against a fiercely competitive field and also changing weather conditions to gain their first representative honours. Despite a valiant performance, the junior men’s quad lost out to the faster boats from High Wycombe Royal Grammar School, Claire’s Court School BC, and Windsor Boys School. 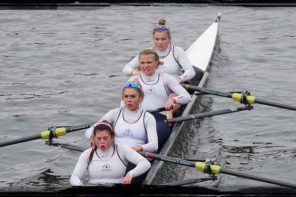 The junior women’s quad of Lauren Edwards, Maddie Orr, Ellie Thompson and Hattie Orr were involved in a major upset when they suffered their first defeat in two seasons to a slightly faster crew from Headington School. The coxless four of Ella Morgan, Lily Stimpson, Clare Pearson and Florence Wiggins came second in their time trail. Despite coming second, the GB selection rules give these second placed junior women the first four seats in the GB eight for the France regatta. In the final races of the selection day, all crews were given an opportunity to compete in a time trial of fours boats to race for the final four seats in the junior men’s and women’s eights. 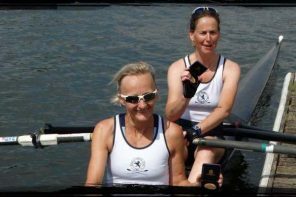 In a thrilling event, the quad scullers of Edwards, Orr, Thompson and Orr jumped into a coxless four boat for the first time in six months. 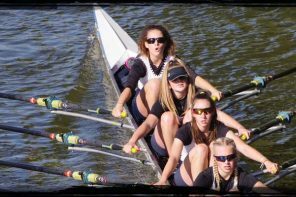 With remarkable determination and a demonstration of superior power, the four junior women used all their experience to bounce back from their earlier disappointment to lead the field by three seconds. The crew won their GB honours in the final four seats of the eight, joining their fellow squad members and making this an all Henley GB eight for the regatta against France in July. Cox Rebecca Lister, and sister Emma Lister, will be joining the squad as eight cox and spare rower respectively. Previous article3 events entered, 3 wins!